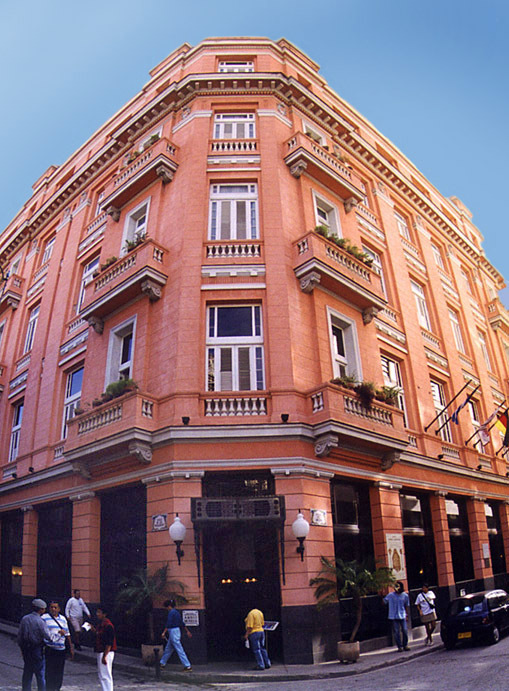 Built in 1920 and only recently restored, the Hotel Ambos Mundos is perhaps best know for being the Havana home of Ernest Hemingway in the 1930's. Hemingway's room #511 is also fully restored and it was here that the plot of "For Whom the Bell Tolls" was formed. The dusty rose color is the actual color of the hotel. Just one of the many beautiful buildings in Havana Vieja (Old Havana) along Calle Obispo.